Basket Arrangement Basket arrangement in soft shades of pink. 'Pretty perfect' for Mother's day. 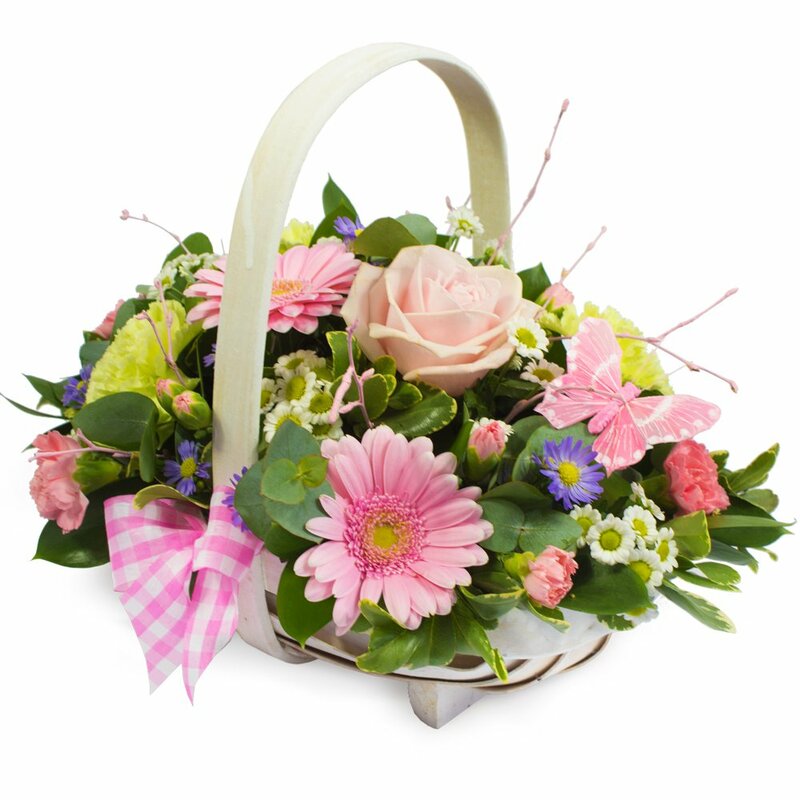 Delivery on Mother's Day or another day of your choice. *Fine Print: Pictures shown are recent examples of an actual arrangement that we designed and later sent out to a customer just like you! Please note that while we don't guarantee what the flower varieties or colours will be, we do guarantee that our florist will pick the freshest of flowers for the perfect gift.